Is Brand Response Right For You? FIND OUT NOW! right brain advertising. left brain results. Brand Response: Where branding meets Direct Response TV (DRTV). Whether it's lead generation, drive-to-web, drive-to-retail, or direct sell, Brand Response is the most effective way to achieve your measurable goals while protecting your brand. Is Brand Response Right For You? Take 60 seconds to find out if Brand Response is right for your product or service. We'll send you an immediate evaluation to help you determine if Brand Response and Sincbox Media are the right solutions for your branding and direct response needs. 1. What is the name of your product or service? 4. What is the price point of your product/service? 6. How soon would you like to air your commercial(s)? 8. Is your product available at retail? 10.Are marketing funds currently available for this initiative? 12.How did you learn about Sincbox? 2017 - Sincbox Gamefly - "Haven't Changed"
2016 Sincbox Gamefly - "A Little Help"
2012 Sincbox AGRL - "Spring Pollen"
2012 Sincbox Sunbeam Heated Blanket - "Popsicle Toes"
2012 Sincbox Oster My Blend - "Pass The Bottle"
2011 Sincbox Sunbean Iron - "Evolved"
2011 Sincbox Mr. Coffee Frappe Maker - "The Kid"
20th Anniversary Telly - Sincbox Providian Financial - "Providian Home Loans"
2000 Sincbox Providian Financial - "Providian People"
2000 Sincbox CitiBank - "The Spokesperson"
While at Hamilton-Beach, we needed campaigns to assist our company in emerging from a vanilla brand perception and deliver informed consumers to the retail. Not only did Sincbox achieve this goal for us, but along the way they re-branded our entire company. After 5 years of campaigns with Sincbox, GameFly has gone from using their services for conventional DRTV to creatively-based Brand Response. They’re easy to work with, budget conscious, and excellent problem solvers. Most importantly, their creative is great and our viewing audience responds accordingly. 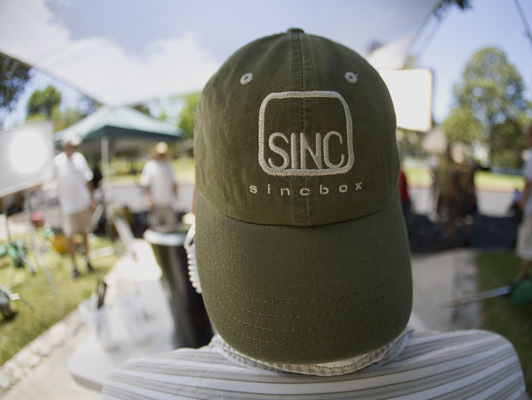 We are big supporters of Sincbox! Sincbox consistently listened to our input and generated multiple creative solutions for our various brands… all on time and on budget with over 20 campaigns across our Mr. Coffee, Sunbeam, Oster, Holmes, and Bionaire brands… with most of these campaigns exceeding our projected goals! Our clients range from Small Business Owners to Fortune 100 companies.